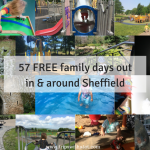 Don’t forget to follow me on Facebook and join our lovely local days out supportive community group (free). 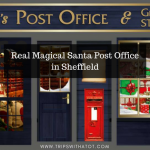 For finding what’s on in Sheffield you can browse our Events list, stay up to date with my posts to see the latest news and subscribe to my mailing list for free. Without further ado, let’s go! Saturday 10-11:30am, Cooking Tots at Poppie’s Bakehouse: Sweet Muffins. A parent and toddler baking/cooking group, 90 minute long sessions for 20 months-5 year olds. Classes are £6.50 per child or £34 for 6 Sessions. Contact here to book. Saturday 2pm-4:30pm, Family board game cafe at St Timothy’s. Suitable for ages 5+, family board games plus cakes and drink. £1 entry. All weekend, Wizard of Oz at The Crucible. 2:15pm and 7:15pm showings. Sunday, 9:45-10:45am. Circus Minis for 3-6 year olds at Greentop Community Circus Centre. £6.50 a child. 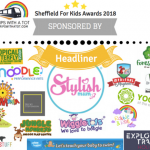 A mixture of age appropriate basic skills such as hula hoop, scarf juggling, plate spinning, diablo, bucket stilts, flower sticks, beam, silk cocoons & trapeze. Sunday, 5:30pm-7pm, Woodland Monthly Walks at Grenoside Woods. Kids free. This month we’ll look at the ancient skill of friction fire lighting, rhese walks are held in an ancient woodland in Grenoside in the north of sheffield, an area steeped in history and wildlife. As we talk about the living woods we’re walking through you’ll see the environment come into life around us. £8 per adult. Sunday, 10:30am to 4pm, Open day at South Yorkshire Transport Museum, Rotherham. Includes free vintage bus rides from Rotherham bus station. Curious as to know what it is like? Read our full review here! 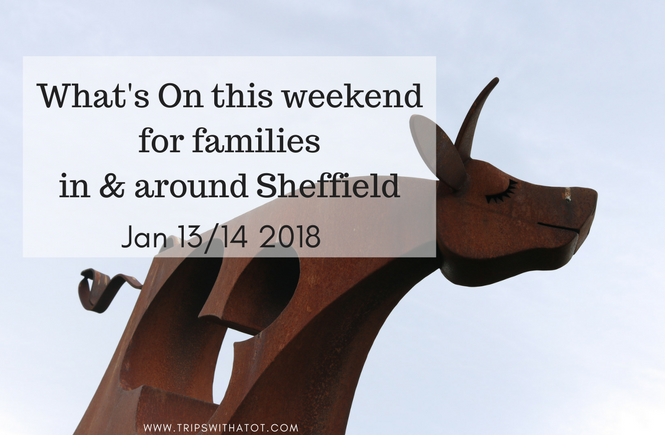 Winter Saver Weekend Offer valid at Cannon Hall Farm, Barnsley on Sat and Sun, just £5.95 per person, includes farm admission, indoor play, outdoor play, tractor rides, petting sessions, ferret facing and more. Under 2s free. Free family art workshops at The Tetley in Leeds on on Saturday, 11am-3pm, drop in. The Tetley’s Family Art Workshops are creative activity sessions led by artists. Join us for a fun-filled afternoon exploring mark making techniques using our own bodies! Reduced entry prices to Matlock Farm Park with their special winter prices. Photos & review here! Free: enjoy the Ai Weiwei’s Circle of Animals / Zodiac Heads exhibition at Yorkshire Sculpture Park. Find 12 bronze heads representing the traditional Chinese zodiac that once adorned the famed fountain-clock of the Yuanming Yuan, the imperial summer palace retreat in Beijing. Free Family Art Pods sessions and Explore & Draw totes at The Hepworth Wakefield. We love this place! The last weekend of digiPlaySpace at Eureka! The National Children’s Museum, in Halifax. You’ll love Eureka!, it’s absolutely amazing! FREE – Visit the lovely Worsborough Country Mill & Park, Barnsley. Enjoy a woodland walk, visit the museum, have fun in the playground and indulge in yummy treats at the Millers Tea Room. We loved Worsborough Mill on our first visit and were impressed, read about that here! 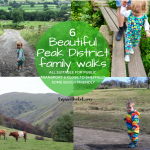 Choose from one of these wonderful family-friendly Peak District walks and get outside for some fresh air. Don’t forget how amazing your local free parks are. 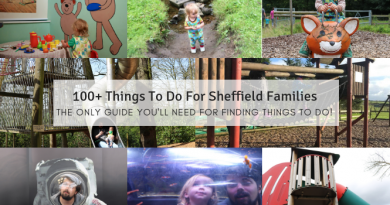 These top 7 parks in Sheffield all have lovely cafes, so take your pick! Watch The Lego Ninjago Movie for less than £5 at Vue Mini Mornings, Saturday AM at Meadowhall. 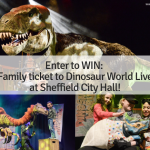 Watch The Star at Light Cinema Sheffield, for family AM club all weekend. Explore Ecclesall Woods, Sheffield & have a coffee and cake at The Woodland Coffee Stop open 10am-4pm. FREE Wonderlab gallery at National Science and Media Museum, Bradford. Explore light, touch, sound and experiments. 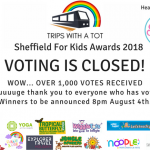 Read our review here for more info!! Fancy some fun? 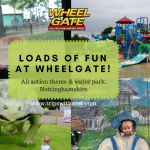 Kids will love Wheelgate All-action theme park in Nottinghamshire. There is SO much to do there and once you’re in, nothing costs! I really recommend a visit here, read my full review before you go! 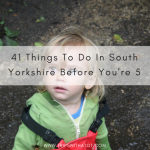 Find a fantastic fun and interactive museum in Yorkshire for kids, this ultimate guide has the top 12 to choose from. 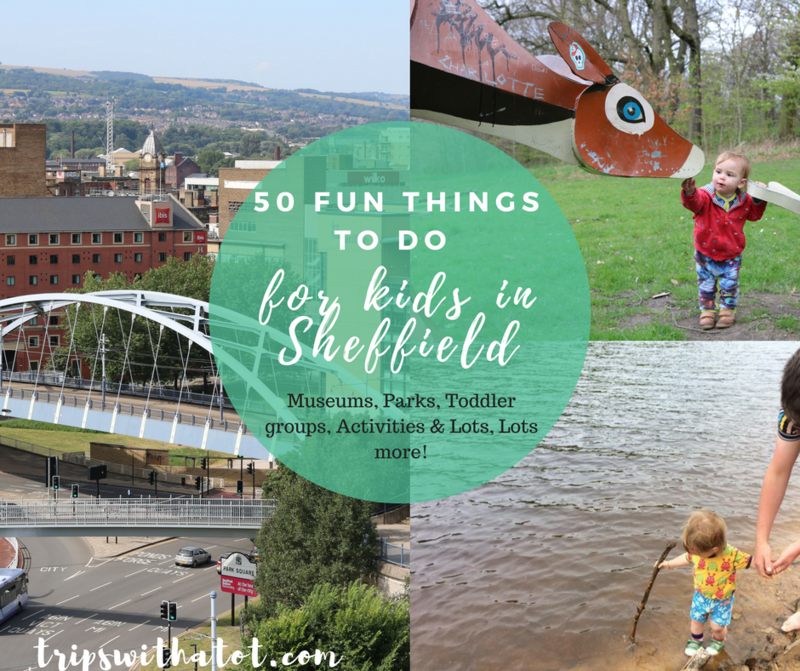 5 things to do in Sheffield with kids for FREE!